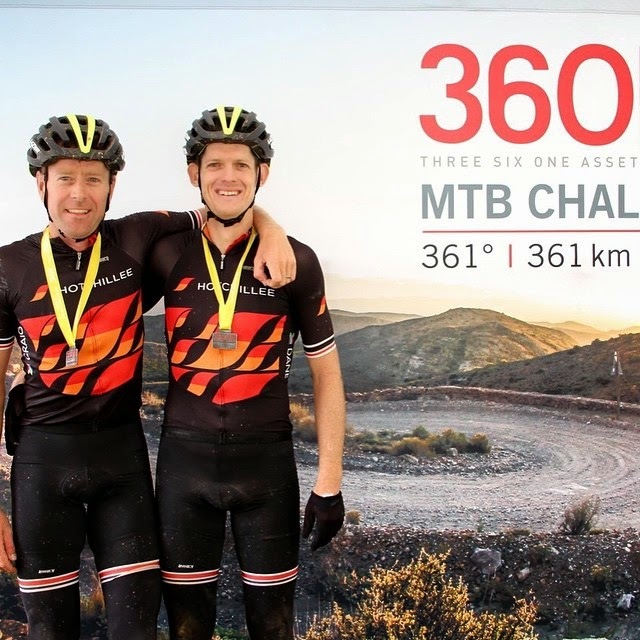 As we crossed the finish line of The 36One a year ago, Captain Craig and I vowed to never ever ever ever do this event again, and yet, when entries opened for this year's event, we were there, the pain and suffering a distant memory. Everything about The 36One is just crazy. The person who came up with the idea had to be crazy. The people who turned the idea into an event must be crazy. And the people paying good money to ride such an event are definitely crazy. It doesn't stop there. As if 361 kilometres isn't crazy enough, the ride only starts at sunset. Why in the world would any one willingly want to do such an event, and yet here we were. Again. My tempo ride seemed to start out ok (Strava said I rode some good solid segments), but my legs felt tender, and after 2 hours I popped. I had to stop for a coke and chocolate just to get home. And then, while lying on the couch, watching TV, I had the worst cramps I have had in years. Every muscle in both legs ganged up on me. Our bad luck bogey didn't end with the man flu. With an hour to go to race time, Captain Craig discovered that his lights weren't working. But never fear - in a rare moment of sheer brilliance, he'd borrowed a backup set. Which didn't work either. And in all the light fitting and refitting pandemonium, we'd missed the deadline to hand in our boxes of supplies, spares and extra kit. 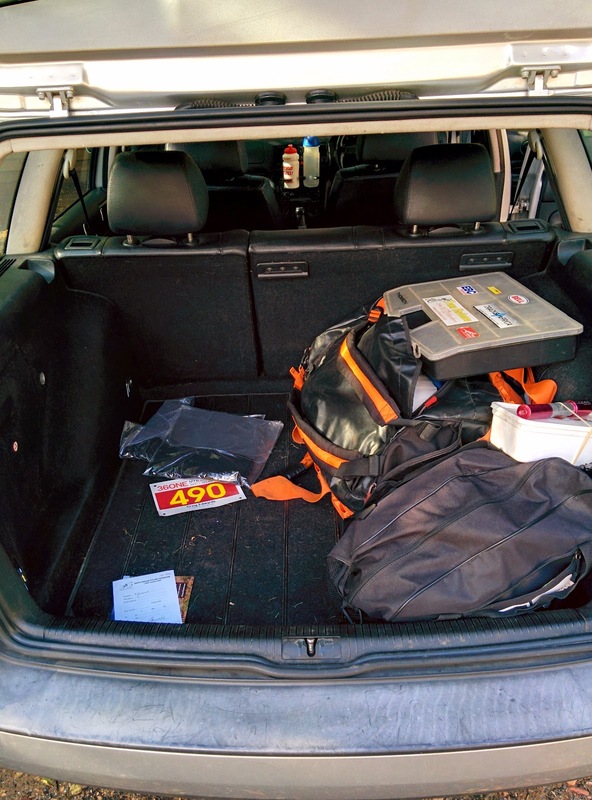 So there we were with one working light, and potentially no supplies for 361 kilometres. And just like that, Captain Craig had a new name - Captain Chaos - a name his wife also fully endorses. 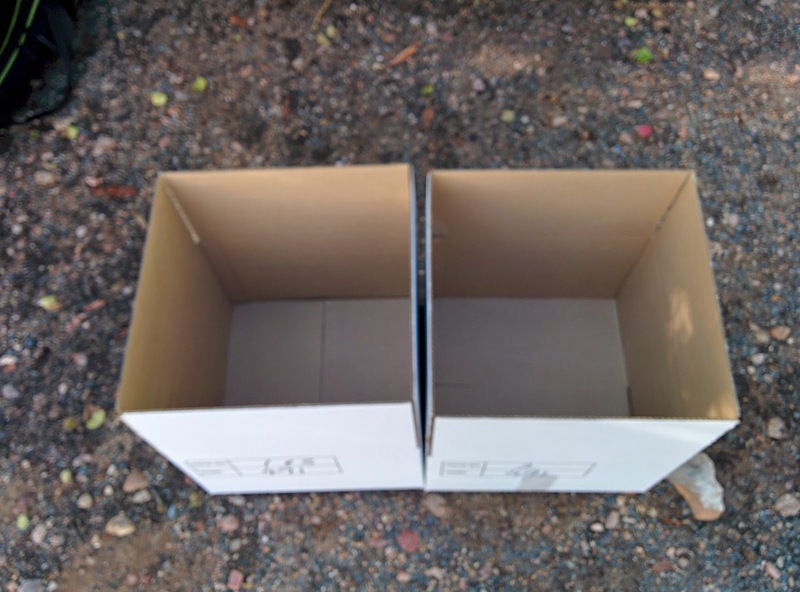 Thankfully, after a little begging and pleading, the amazing people at Dryland came up with a plan to get our boxes to where they needed to be, although we never did solve the light issue. It's difficult to describe the attraction of The 36One. On paper there is nothing appealing about it. It's 361 kilometres of dirt road riding, in the dark, on your own. 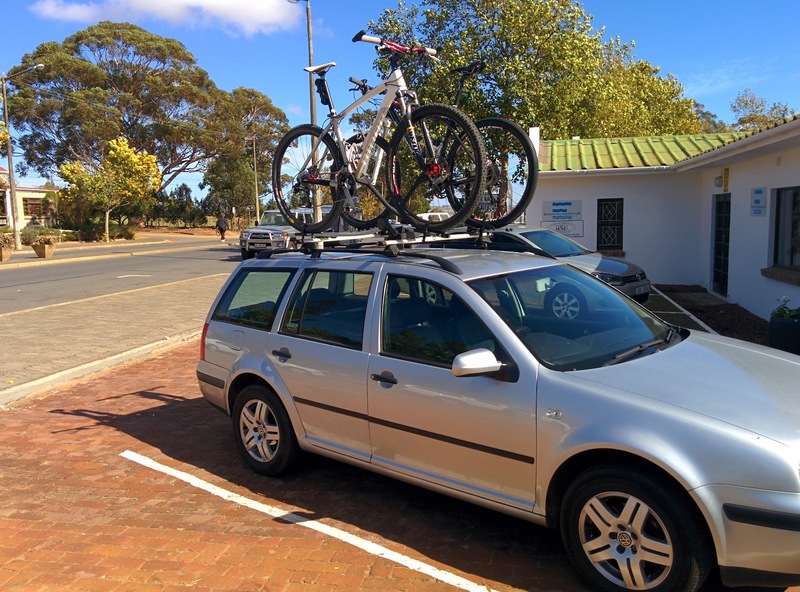 And while it might be the Karoo, it's certainly not flat with over 5000 metres of climbing. The weather can be unpredictable and the terrain quite brutal on body and bike. And yet, over 500 undeterred cyclists entered this crazy crazy event with something to prove. For some, it's the thrill of the race, the planning and preparation, the control of mind over body. For others it's the challenge, the next big thing. Pushing the limits to near breaking point just to see what happens. Having the courage to stand on the start line and contemplate the unknown that awaits them. With the sun setting behind the Swartberg mountains, months and months of preparation culminated as we were sent on our way - the great unknown ahead of us. Being the roadies that we are, Captain Chaos and I immediately hooked a tandem and set out way too fast. While I tried to convince myself that this was a good idea, my brain was frantically calculating where exactly we'd be when I'd pop after 2 hours, and whether there would be any coke nearby. I concluded that we'd probably be miles from civilization, and that I'd probably end up dying out there, with just Captain Chaos for company. Luckily, the road started to go up, and the tandem went backwards, and all of a sudden we were in control of our own destiny. Until the solo race snakes caught us. What do we put in these? Captain Chaos and I could have entered as solo race snakes, but there is something cool about being forced to ride with someone else, particularly in a race like this. Being able to share a moment, having a shoulder to cry on in the early hours of the morning, an extra brain to help with decision making conundrums like whether to have another date ball or switch to the koeksisters, and just a person with which to get through the occasional dark patch (in our case, Captain Chaos's extremely long literal dark patch from sunset to sunrise). On the topic of darkness, Captain Chaos was like the shadow behind me that I couldn't see. This presence I knew was there but couldn't always locate. Occasionally I'd lose him completely, only to hear his desperate cries for help as he careened off the road towards the great unknown. Not only did he ride the entire night time route without a light, he also didn't complain once. Together, we managed to somehow navigate the ups and downs on one light without incident, although I now know what it feels like to be a seeing eye dog. So cemented was our race formation that even once the sun had risen, we rarely changed our line up - me on the front with Captain Chaos close behind, the occasional buzz of his freebody the only indicator I had that he was still there. As the race snakes dished out the pain to each other, a couple of the teams and a few of the more sensible solo riders sat up and let them go. We soon found ourselves in the esteemed company of Jeannie and Martin Dreyer, as well as some of the top endurance riders in South Africa. I've always been a fan of the tortoise approach to long distance riding, and having that reinforced by the riders around us gave me hope that I might make the first checkpoint before the wheels fell off. Given the list of achievements the Dreyers share between them, it was rather odd that they took a wrong turn and vanished from our sight for the next 10 hours. We weren't sure what was worse - trying to chase them down, or being chased down by them. It did however give us a renewed urgency at the water and check points. I usually ignore Captain Chaos's harassment and take my time, making sure I'm thoroughly refuelled and ready to go. This year our stops were up there with Formula One race cars! 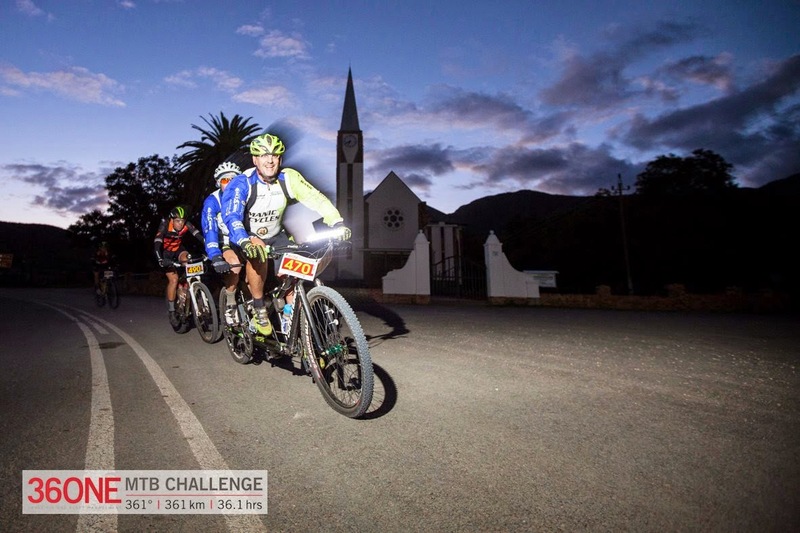 The greatest pity about this race is that we ride in some of the most scenic surroundings in the complete darkness. If it isn't in the small puddle of light in front of you, it doesn't exist. Sometimes you can smell it, and sometimes you can hear it, but that is the only hint you have that a world exists outside of the light. Occasionally we'd be treated to some visitors - we saw a few rabbits, a mouse or two, and Captain Chaos encountered a snake which he expertly bunny hopped. And sometimes we'd see things that weren't really there at all - stars and cell phone masts looked like riders way above us at the top of figmental climbs, road signs varied from oncoming traffic to giant wild animals, and I greeted more than one fence post that I thought looked like a spectator or marshal. This race can never be won in the first 200 kilometres, but it certainly can be lost. While conservative riding, a proven nutritional plan, and some mental fortitude will get you quite far, sometimes you need a little luck too. As we left the first check point, Captain Craig broke a chain. Trying to fix a chain at the best of times is a rather fiddly hit and miss operation, and with cold fingers and minimal light is as tedious as watching the South African cricket team mount a run chase. Fortunately, we had our mechanical within sight of the check point, and were able to fix the chain in the blink of an eye, thanks to the light of a nearby Toyota Hilux's headlights. Thanksfully, that was the sum total of our bad luck. You'd think that in 361 kilometres Captain Chaos and I would be able to solve the world's problems, but the reality is that we barely talk to each other. A cursory "How you doing? ", a curt "Can we back it off?" or a quick "What do you need at the water point?" typically sum up our verbal interactions. Occasionally I'd get advice on how to ride through the muddy patches, or I'd request a wee stop. We're so good at non-verbal communication that at one point we said nothing to each other for 20 kilometres, which completely freaked out the rider that was riding with us. So much so that we're convinced he dropped off because he thought we were having a marriage row. But we understand each other all of the time - one look and we can tell how the other is feeling, how strong he is riding, or whether he is having a bad patch, and we can adjust accordingly. That's not to say I don't have conversations, I do, but mostly in my head. With myself. About all sorts of things that I can never remember afterwards. 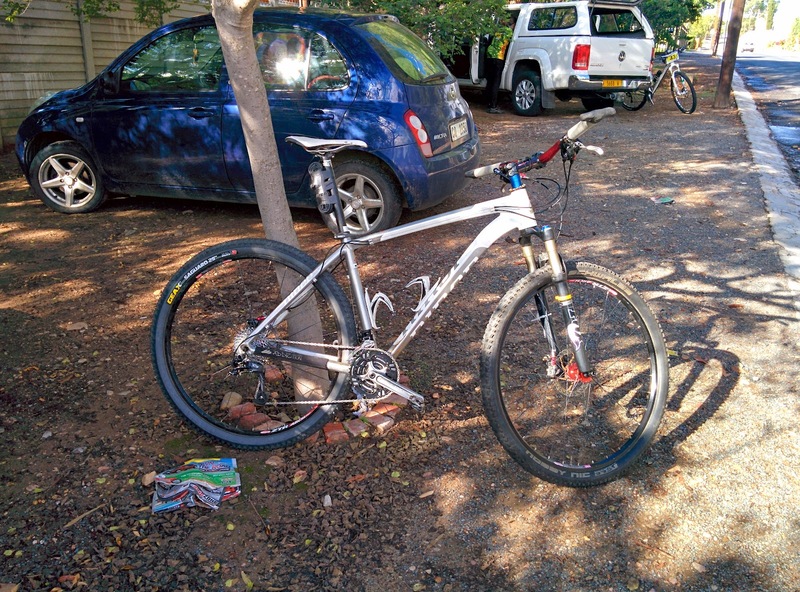 Cycling induced amnesia. 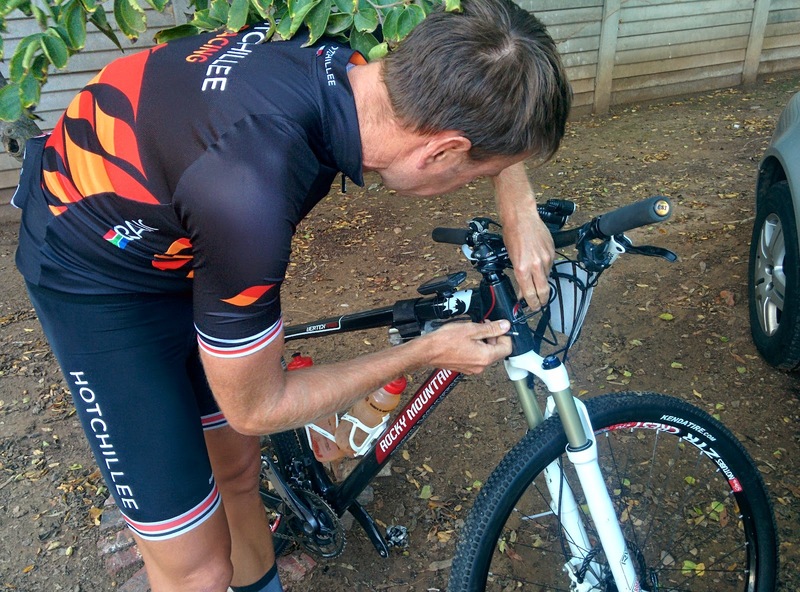 @captaincraigSA @velotales stooping to a Steers burger spread. Not as embarrassing as falling asleep in the KFC drive thru queue last night. 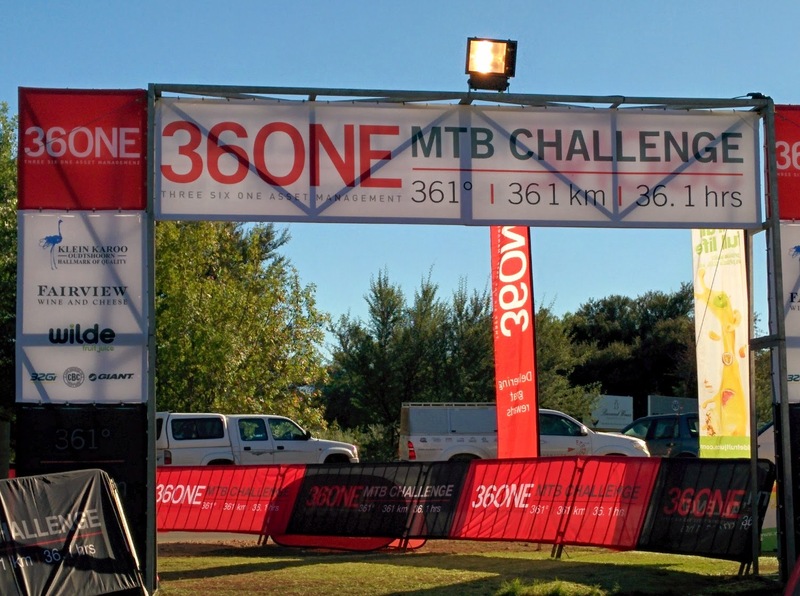 The main physical challenge of The 36One is a little hill called Rooiberg. 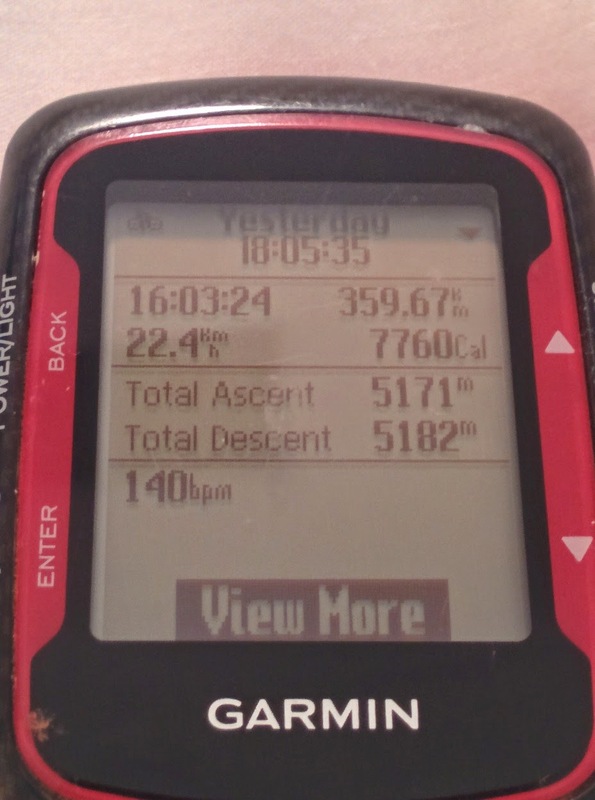 A 7 kilometre climb with 500 metres ascent. Nothing too hectic. Except it comes after 250 kilometres. When it comes to any team race, you don't have to be the fastest, you just have to be faster than your partner, and this year it was Captain Chaos's turn to suffer up the climb. And even then, when you think you're suffering, there is always someone worse off. As we inched our way up the climb we caught a solo rider standing next to his bicycle, motionless. We asked if he was okay, and he replied with a rejected "I just need some time to gather myself". We've all be there, and given the state he was in, I suspect he spent quite a while gathering himself on the slopes of Rooiberg. Before we knew it, we had crested the climb and were flying down the other side in our familiar formation, sharing the light whilst trying to carry some speed. A long and cold descent later we hit the valley floor with the lights of Calitzdorp glimmering in the distance. Sunrise was threatening to make an appearance in the lead looking sky and with it the promise of some warmth. As we rolled into the checkpoint in the pre-dawn light we were greeted with an oasis of snacks and supplies. The only thing worse than a porridge brain is an indecisive porridge brain. Captain Chaos and I breathlessly sampled the goodies on hand before being jolted back to reality by the appearance of the Dreyers. We had 80 kilometres of looking over our shoulders ahead of us, and we needed all the head start we could get. 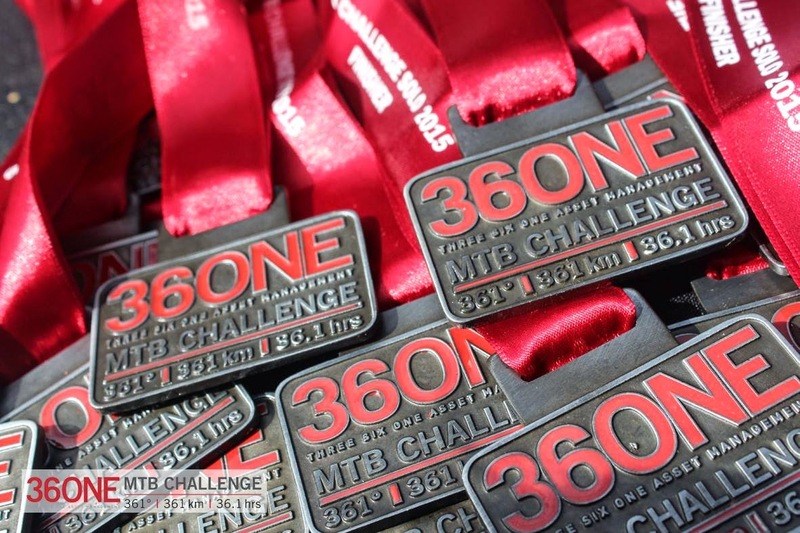 The final stage of The 36One can only be described as barbaric. A mere 51 kilometres as the crow flies to the finish, but a sadistic and brutal 80 kilometres with over a thousand metres of climbing awaited us. This was where our race began. Where the previous 12 hours effort would either make or break us. We knew what lay in store for us, and we knew just how deep we'd need to dig. With those thoughts filling our minds there was no need to talk. No wonder our companion felt a little uneasy. Few things in cycling are as depressing and soul destroying as slogging it out on a climb, going to a very dark place for a very long time, and as you crest the climb to feelings of elation and accomplishment with a beautiful downhill in front of you, only to see the road climbing out of the valley up another impossibly steep hill. How more cyclists at The 36One haven't suffered mental breakdowns is a testament to the toughness and single bloody mindedness of those that enter this unique event. As we crested the last of the mind destroying hills we still could not see the Dreyers, and we began to believe that we might just be able to hold them off. My white line fever once again kicked in from 35 kilometres out, but Captain Chaos had the wisdom this year to speak up and curb my enthusiasm before he imploded like a poorly made soufflé. We ticked off the final kilometres in a metronomic fashion, crossing the line in 16:03, to be told we'd finished in second place. Our hearts sank as our minds tried to make sense of the news we were hearing. How could that be? Where did they pass us? Who was this team we'd missed entirely? And then the good news - there was no other team. Captain Chaos and I had won the team category, knocking 45 minutes off our previous time, and climbing up on a step on the podium. 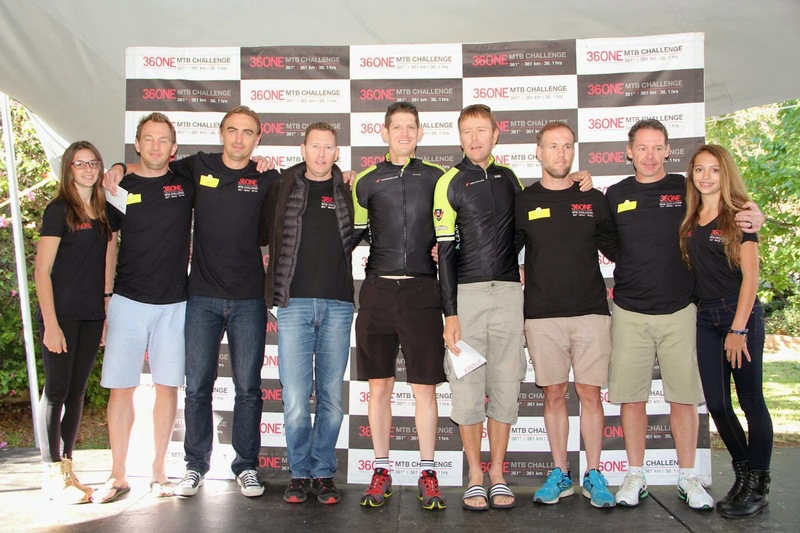 We might have won our category, but as usual, the real champions in an event like this are not those at the pointy end of the race, instead the real champions are those for which The 36One isn't just a bike race, but rather a life changing obsession. To those men and women, you have my utmost admiration and respect. You are the true heroes. The real champions. And I know many will be back next year. Captain Chaos and I have already vowed to never ever ever do this event again, but as I write this race report I'm already thinking about next year, and the allurement that this crazy crazy race has over each and every one of us.